LASH, Linda "Joyce" - Age 67, entered into the presence of her Lord & Savior after a courageous battle with cancer. Funeral services will be held 1 PM Friday, March 22, 2019 at Mount Hope Church 8363 Embury Rd, Grand Blanc, with a visitation from 12 PM until the time of the service with Pastor Eric Anderson officiating. Interment will follow services at Crestwood Cemetery. Visitation will be on Thursday March 21, 2019 from 4 - 8 PM at Sharp Funeral Home & Cremation Center 6063 Fenton Rd, Flint. Linda was born on December 20, 1951 the daughter of Colie and Doris (Baumgarner) Sullivan in Anderson, South Carolina. She married the love of her life, Kenneth Lash on March 8, 1969 and celebrated 50 years together just a week ago. She was a loving wife, mother, daughter, aunt, sister, and friend. She spent her life showing love to others and encouraging everyone around her. She was a faithful servant of the Lord and a diligent prayer warrior. She loved being in God’s creation and you could always find Linda in her yard where she enjoyed gardening and tending to her flowers. She also enjoyed spending time reading. 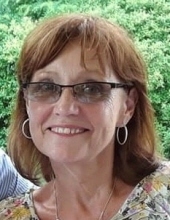 Linda is survived by her husband, Kenneth; daughters Tammy Lash, Stacey Lash; sons, Kenneth (Jamie) Lash, Anthony Lash; grandchildren, Brandi, Drew, Austin, Alexis, Dylan, Olivia, and Bryce; Great-grandchildren, Brent, Lilliana, and Kolton; sister, Deborah Marsh; Sister-in-law, Susan Lash and Sharon Stanley; brother-in-law, Ronald (Sheila) Lash; many nieces and nephews and many special friends. She is preceded in death by her parents; brother, Anthony Sullivan; step-father Douglas Dunn; nephews Teddy and Ronnie Lash; niece, Misty Lamson. Those desiring may make contributions to Henry Ford Health System. To send flowers or a remembrance gift to the family of Linda "Joyce" Lash, please visit our Tribute Store. "Email Address" would like to share the life celebration of Linda "Joyce" Lash. Click on the "link" to go to share a favorite memory or leave a condolence message for the family.